As one half of the hit-song writing team behind ABBA and one of the 'B's in the band, Benny Andersson has written many of the most well known pop songs of the last forty years. He and Björn Ulvaeus had a knack for writing irresistible hooks and melodies that are imbedded in popular culture. His love of Swedish folk music has led to his later work with his band BAO and his musical Kristina, which of course was not his first as he and Björn, along with Tim Rice wrote Chess in the 1980s. Benny Andersson was born in Stockholm to a family in which his father and grandfather both played the accordion, aged six, Benny began to play one too, learning Swedish folk tunes. By ten he was learning the piano and after leaving school at fifteen (1961) he began playing in youth clubs. He married Christina Grönvall, and in early 1964, Benny and Christina joined Elverkets Spelmanslag ("The Electricity Board Folk Music Group"), their repertoire was mainly instrumentals, including Henry Mancini's 'Baby Elephant Walk'. In early 1964, Benny's band was up against The Hep Stars, by the end of the year he had become the Hep Stars' keyboard player. The following year the Hep Stars had a huge hit 'Cadillac', becoming the biggest Swedish pop band during the decade. Aside from cover versions of international hits Benny wrote songs for the band, among them, 'Sunny Girl', 'Wedding' and 'She Will Love You'. 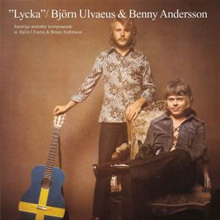 After Benny met Björn Ulvaeus in 1966, they soon began writing songs together, including their first for consideration as Sweden's entry into the Eurovision Song Contest. As they got to know each other better so did their partners, Frida and Agnetha, before long they were collaborating on records, including Frida's solo recordings and out of this grew ABBA… the rest is history. After ABBA, Benny continued writing with Björn and their first project was the stage musical Chess, written with Tim Rice, from which the Elaine Paige, Barbara Dickson, duet 'I Know Him So Well' became a big hit in Britain topping the singles' chart. In the years that followed Benny worked on a number of projects in Sweden, including a musical featuring Swedish folk music, his first love, as well as writing hits for other Swedish artists. Benny's love for traditional Swedish music inspired the creation of, Kristina från Duvemåla that premiered in Sweden in 1995. It ran until 1999 and then Benny created an English-language version, simply called, Kristina, that was staged in concert at Carnegie Hall in New York City for two nights in September 2009 and at the Royal Albert Hall in London for one night in April 2010; the New York City show was recorded. 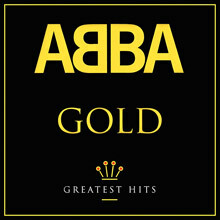 This is a beautiful record and one worth checking out, it's not ABBA, but it's full of great melodies and performances. More recently he has composed primarily for his 'band' BAO! with the vocalists Sjöholm and Körberg. The Benny Anderssons Orkester came out in 2001 and combines traditional Swedish folk music with classical, pop and jazz influences. 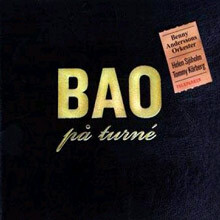 The BAO på turné was recorded live during the band's summer tour of 2005 in the towns of Örebro and Leksand and was released in 2006. Benny also worked on Mamma Mia!, the musical created around 24 of ABBA's best loved songs. The film version of Mamma Mia! premiered on 18 July 2008. The previous year Benny had recorded the old songs with musicians from the old ABBA recording sessions. Mamma Mia! The Movie has now become the most successful movie musical of all time and has been named the number one box office smash of 2008, and the biggest-selling DVD ever in the UK. After two studio albums, Benny Anderssons Orkester, current group of former ABBA member Benny Andersson, released its first live album in May 2006. Recording for the album took place during the group's summer tour the previous year in the towns of Örebro andLeksand. As Benny Anderssons Orkester did not tour in 2006, this live album was seen as a kind of compensation for the otherwise missing concert experience. 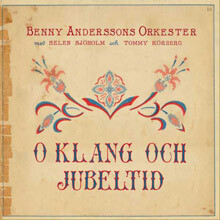 "O klang och jubeltid" is the first studio album by "Benny Anderssons orkester" since BAO 3 in autumn 2007. Stylistically, it is a typical BAO album, with a variety of musical genres including Swedish folk music, classical and pop influences. The album was recorded in the first half of 2011 in Benny's newly built studio, Rixmixningsverket. The studio is located adjacent to Benny's Mono Music offices and studio, where part of the mixing was done. As usual, the album features some instrumentals mixed with songs performed by Helen Sjöholm, Tommy Körberg and Kalle Moraeus. This time, eight out of the 13 tracks have vocals, while only five songs are instrumentals. Most of the lyrics are once again written by Benny's former ABBA partner Björn Ulvaeus. All music is composed by Benny Andersson, with the exception of "Månstrålar klara", a traditional tune with lyrics by Arvid Ödmann, performed by Tommy Körberg. The title of the album (and its title-track) is taken from and inspired by the student song 'O, gamla klang- och jubeltid!, originally a German song : 'O alte Burschenherrlichkeit, composed by Eugen Höfling in 1825. The song was featured in the (German)stage play Alt-Heidelberg by Wilhelm Meyer-Förster, part 5, scene 5, which was translated to Swedish as Gamla Heidelberg by Frans Hedberg in 1903, where the song starts 'O, du studentens glada liv, varthän har du försvunnit? (O, that merry life of the student days, where did you go?). The song was reworked by August Lindh, and published for the first time in Swedish in 'Sångbok för Västmanlands-Dala nation nr 9, 1921'. The Student Song 'O, gamla klang- och jubeltid is still often sung in academical gatherings, and while doing so, the students underline the lyrics by standing onto their chairs. After the former ABBA members Benny Andersson and Björn Ulvaeus collaborated with lyricist Tim Rice on the musical Chess in the mid-'80s, they next turned to a project related to their native country, a musical based on Vilhelm Moberg's series of novels The Emigrants. The series, which tells the story of the Swedish Diaspora to America in the mid-19th century, had previously been adapted into two lengthy films by director Jan Troell, The Emigrants (1971) and The New Land (1972), both starring Liv Ullmann and Max von Sydow. Andersson and Ulvaeus focused on the character Ullmann had played, the wife and mother Kristina, taken by her husband, Karl Oskar, across the sea to the U.S., where the family settles in Minnesota. (By this point in Andersson and Ulvaeus' songwriting collaboration, they had largely separated their duties, with Andersson essentially writing only music and Ulvaeus only lyrics.) Under the title Kristina från Duvemåla (Kristina from Duvemåla), the show opened on October 7, 1995, with several additional Swedish productions and a recording through the end of the ‘90s. But since, unlike the ABBA music and Chess, the show was written in Swedish, not English, that was as far as things went for a while. Eventually, Andersson and Ulvaeus brought in Herbert Kretzmer, who had written the English adaptation of French composer Claude-Michel Schönberg's musical Les Misérables, resulting in a worldwide hit, and he and Ulvaeus created an English-language version of Kristina, which was given its premiere as a concert at Carnegie Hall in New York in September 2009. This recording is drawn from that performance. Helen Sjöholm, who created the title role in Sweden, and for whom the part was written, is again playing Kristina. She has a contralto voice reminiscent of Anni-Frid Lyngstad of ABBA, but sings in English with less of a Swedish accent. Andersson's tuneful music, while recognizable to anyone familiar with Chess, has little of the pop/rock sound of ABBA this time around, although he does throw in a little electric guitar here and there. Rather, his influences are classical and operatic. The show is also strongly suggestive of the musicals of Schönberg and Andrew Lloyd Webber. Indeed, Les Misérables is perhaps its nearest antecedent, especially in the big ballads sung by tenor Kevin Odekirk, who plays the tragic younger brother Robert, "Down to the Sea" and "Gold Can Turn to Sand." The story is not so much like opera as it is like soap opera, however, a kind of domestic melodrama about the travails of a struggling family and its friends. That can make the music seem heavy-handed at times, although Andersson does have some fun with what must be the only song ever written about "Lice" (they infest the ship on the way over to America) and on "American Man," the emigrants' first encounter with an atypical citizen of the new land. Louise Pitre, who starred in Andersson and Ulvaeus' Mamma Mia! on Broadway, has a juicy part as the reformed prostitute Ulrika, but ultimately it's Sjöholm who makes the strongest impression, clearly bringing the audience to its feet with her climactic ballad (or, as they call it in the musical theater, the 11 o'clock number) "You Have to Be There," in which Kristina addresses God. 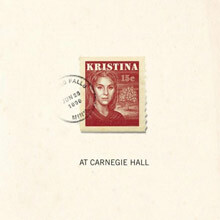 Kristina may or may not have a future on-stage, even in English, but it should be of interest to anyone who likes the music of the creative team from ABBA. 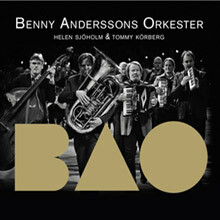 “BAO” in BOX “contains Benny Anderssons Orchestra all recordings-now divided into six CDs– (2 CD)/” BAO on tour “/Christmas songs (” Santa has gone home “). A total of 87 tracks and 5 hours of music! In addition, a booklet with all the texts, images, history, biographies, etc. The box also includes a double DVD with the TV shows “Benny Anderssons Orkester 10 years”-recorded at Sofiero Slott, Helsingborg and in Trädgårdsföreningen, Göteborg during the summer tour 2011 and “Benny Anderssons Orkester on new adventure” recorded at restaurant Rhubarb in Stockholm in 2001. DVD’s in “Benny Andersson’s Orchestra 10 years” contains two bonus tracks, which are not included in the TV version. 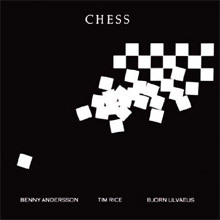 Chess was the concept album written by Tim Rice and composed by Benny Andersson and Björn Ulvaeus, and it was something you might have expected from the lyricist who brought you Jesus Christ Superstar and Evita and the musical team that wrote the songs and made up the male half of ABBA. That is to say, it had a meaty scenario and lots of catchy, eclectic pop music. But unlike Rice's earlier concept albums, this one was not based on an existing story to provide the lyricist with a plot. Instead, he drew upon existing U.S. and U.S.S.R. tensions as seen through an international chess tournament. But Rice's plot was convoluted, shot through with what seemed to be his real, more personal concerns -- the negative effects of success and celebrity and the pain of divorce. In fact, the work was more interesting when such matters were being explored than when Rice was going on about international relations, and his most effective songs were the sad romantic ballads like "Heaven Help My Heart" and "I Know Him So Well" (which became a number one hit in the U.K.). Andersson and Ulvaeus were typically tuneful, even if their score was so eclectic it lacked unity. The album's other hit single, "One Night in Bangkok," sounded like M's "Pop Muzik," and in turn may have helped inspire Miss Saigon. "Nobody's Side," a vocal showcase for Elaine Paige, kept threatening to turn into an ABBA song, and you wished it would. Elsewhere, the team drew on everyone from Debussy to Pete Townshend, and from Richard Rodgers to Alfred Newman, the Hollywood movie composer. Chess was mounted successfully in the West End in 1986 but unsuccessfully on Broadway in 1988. In subsequent productions, Rice has revised the story, but Chess remained a deeply flawed work with some excellent songs and performances. Lycka is a 1970 album released by folk/rock duo Björn Ulvaeus & Benny Andersson, who later became the male half of ABBA. Most of the songs feature lead vocals by Björn. The songs show the influence of Brian Wilson, "Ticket to Ride"-era Beatles and traditional Swedish folk music. LYCKA was produced by Björn and Benny with Bengt Bernhag and engineered by Michael B.Tretow. Benny and Björn played on the tracks with two Swiss musicians, drummer John Counz -drums and bassist -Gus Horn. S.O.Walldoff was responsible for the orchestral arrangments.